R# seems to have problems to detect method signatures correct. As you can see there is a matching signature. The method i call is implemented in a library written in Managed C++. I'm currently working with VS 2010 SP1. and attach the sample here? Thank you! seems to have probems to detect method signatures correct. Image:Screenshot.png As you can see there is a matching signature. The method i call is implemented in a library written in Managed C++. I'm currently working with VS 2010 SP1. with the current build 2122 i can't reproduce the error myself. 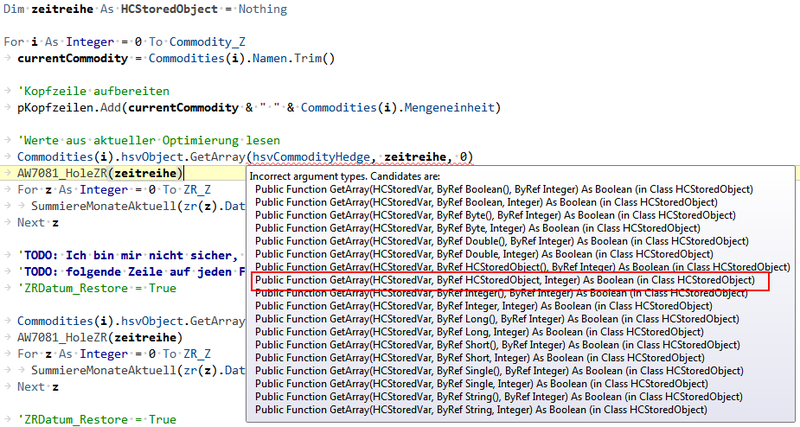 I had a file on which R# marks nearly every line of code with errors. After deleting the cache the problem went aways. Maybe the error i reported here had the same cause.